What a great holiday it was! 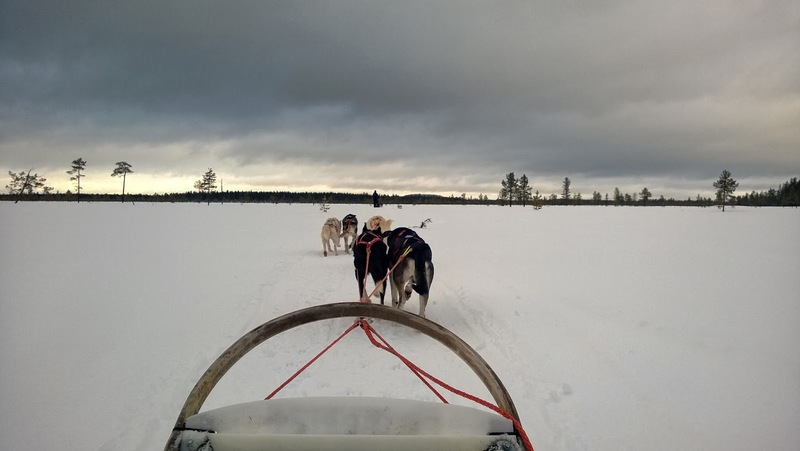 Cross-country skiing, downhill skiing, husky safari, outdoor ski cafes, snow and sunshine – a visit to a winter wonderland! 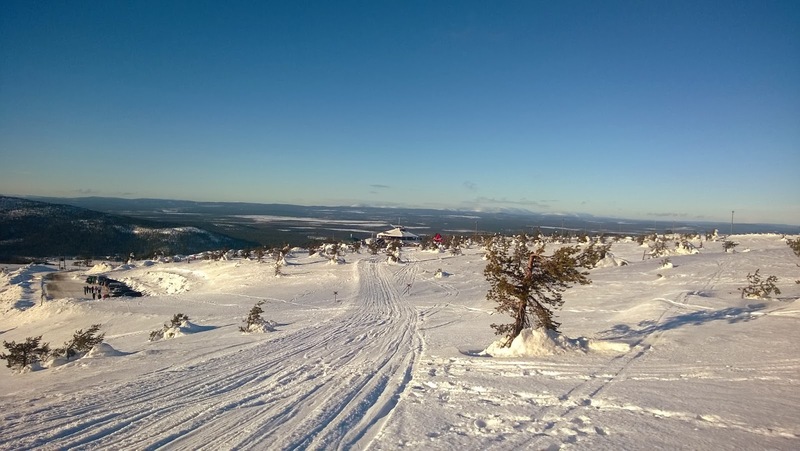 This wonderland was located in Levi - the biggest ski resort in Finnish Lapland. 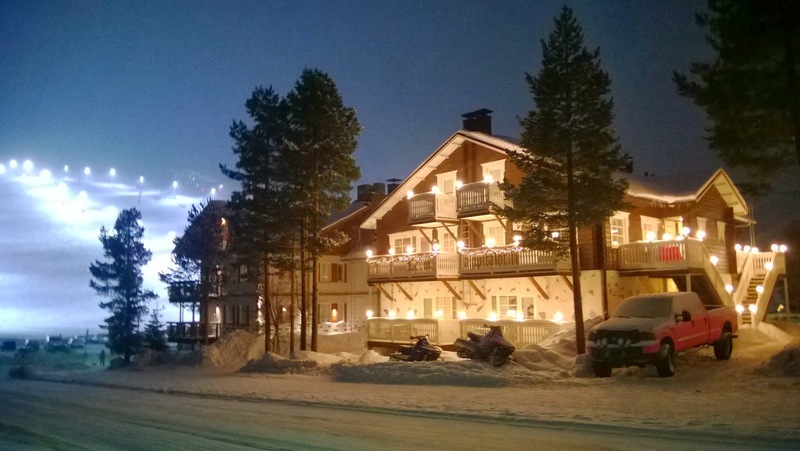 The Levi village is a holiday town in the middle of nature and wilderness areas located in Kittilä municipality. 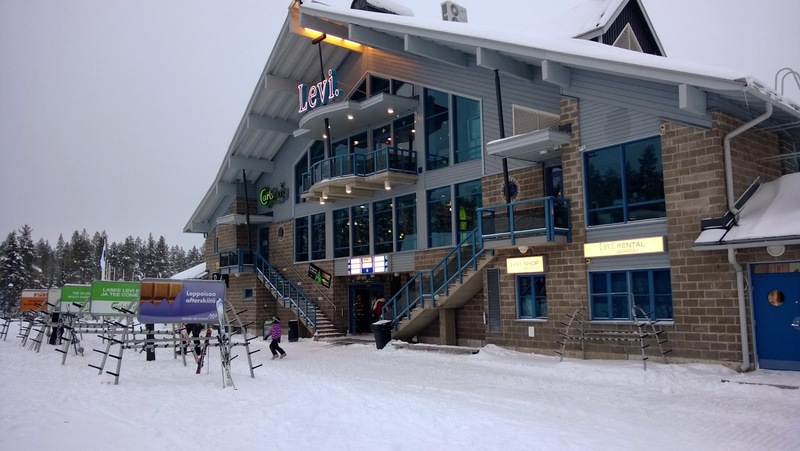 Levi is a popular winter holiday resort and offers great opportunities for all sorts of winter and outdoor sports. I spent a week in Levi with family and friends for holiday. We stayed at an apartment from Holiday Stars / Lomatähdet located right in the centre of the village. 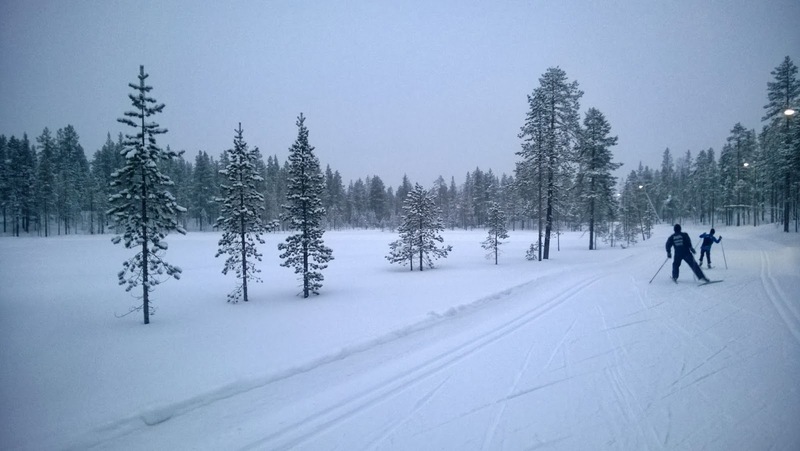 Cross-country skiing is one of my favourite winter sports and Levi has some very nice cross-country skiing routes. Along the ski routes there are naturally many ski cafes. Some ski cafes are only small kiosks while others are more like restaurants (see photos in my earlier post on having coffee on the trail). One of the places I stopped for coffee was Riihi which is a waffle café but also a restaurant offering traditional Lapland specialities and northern culinary dishes based on local ingredient such as fish and reindeer. The atmosphere of ski cafes is something I really like: people are on holiday mood and somehow outdoors makes everything taste a little better. Maybe it is something to do with the rush from skiing. 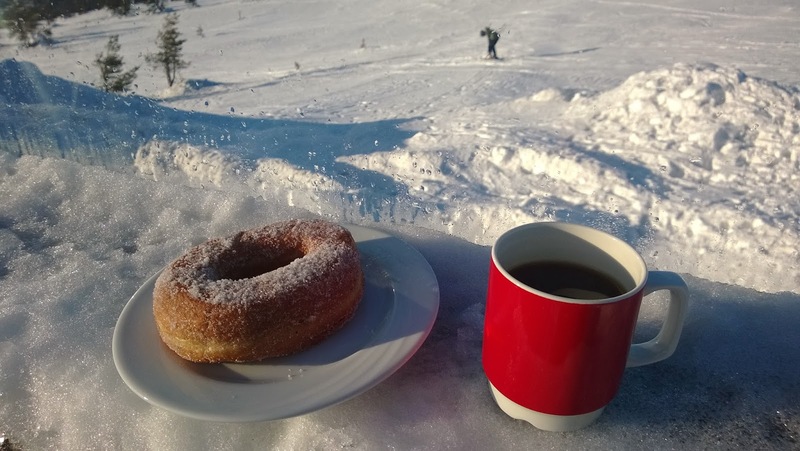 Anyway regular black filter coffee and a basic doughnut tasted so delicious on the terrace of Tuikku restaurant with the fabulous views. 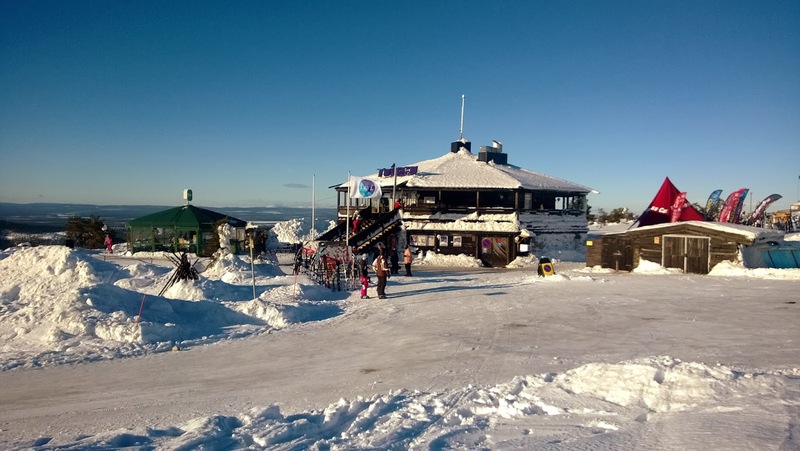 Tuikku is the famous ski restaurant on top of Levi, very popular among downhill skiers but also accessible by car. In the Levi village I tried a cappuccino in Cafe Bar Kota which is a skiers living room just under the front slope. Café and bar Kota serves Paulig coffees. There is also a bakery in the village called Kafet. 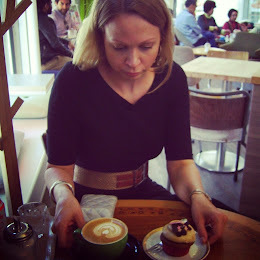 Kafet serves Segafredo coffees and freshly made pastries and cakes. Tuikku restaurant on top of Levi. Having coffee and waffles with cloudberry jam and whipped cream at Restaurant Riihi which was decorated with elements relating to Lapland’s wilderness such as the bear skin on the wall. Café Bar Kota has a direct view to the front slope. At café and bakery Kafet the scenery is in a form of a painting. 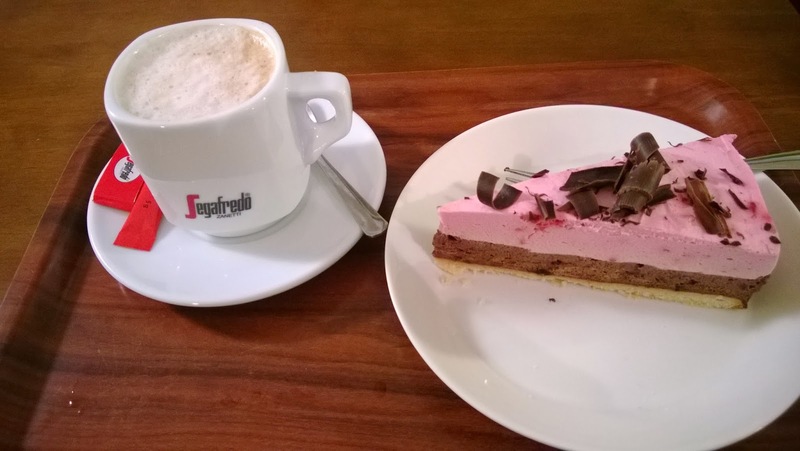 Raspberry and chocolate mousse cake with cappuccino at café and bakery Kafet. 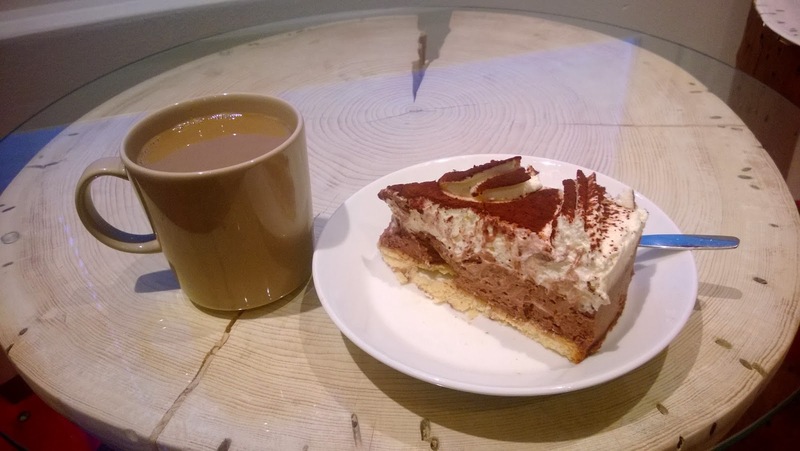 Coffee and chocolate flavoured cheese cake from Kafet. Husky safari in the wildlife was a memorable experience. 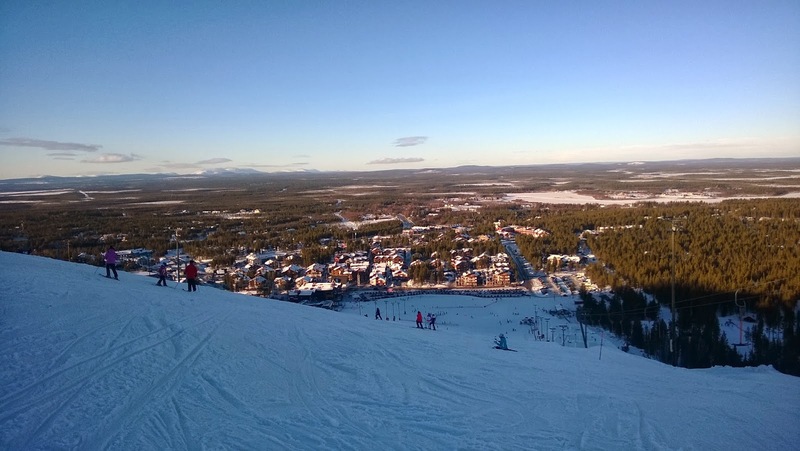 Panoramic live view from Levi is available from Levi Skyview.